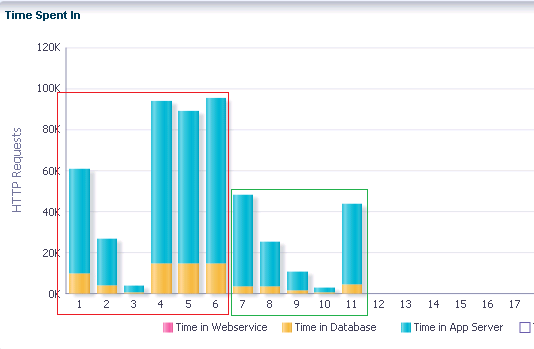 Recently I was analyzing and troubleshooting the performance of an ADF application. Much was already improved before I came. Due to a very recent new hardware/infrastructure environment, the server and database process time was nearly 50% faster after migration. 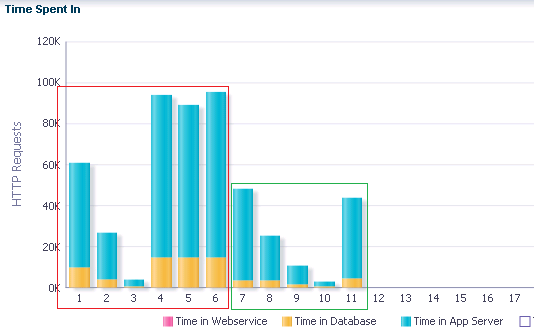 In this blog I want to show you the impact it had on the total server process time of HTTP requests. 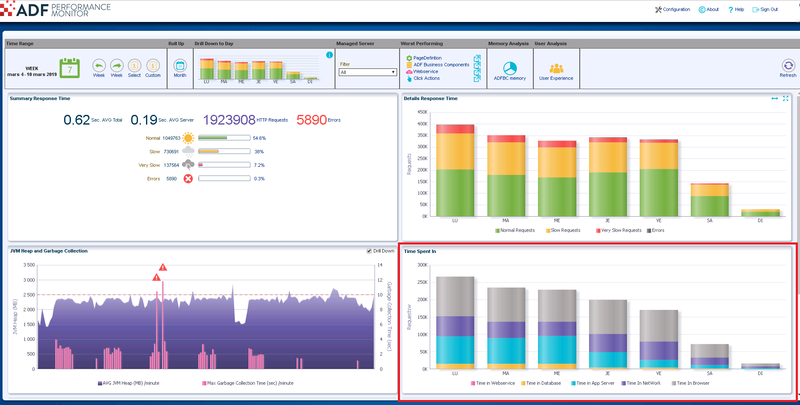 Such a sudden improvement is visible in the ADF Performance Monitor in a glance, and in Week and Month trend analysis overviews. Maybe you need to investigate your hardware/infrastructure as well, and consider an upgrade; if your hardware/infrastructure is relatively old, if your machines are full, or if virtualization software is not implemented efficiently.